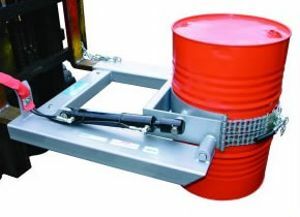 The NS-DC-R2 Hydraulic Forklift Drum Rotator is a heavy duty drum rotator designed to lift and rotate 205 litre steel drums. 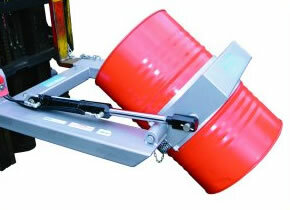 A manual Chain Belly Strap holds the drum firmly in position, whilst the rotation is provided by the Forklift hydraulics. 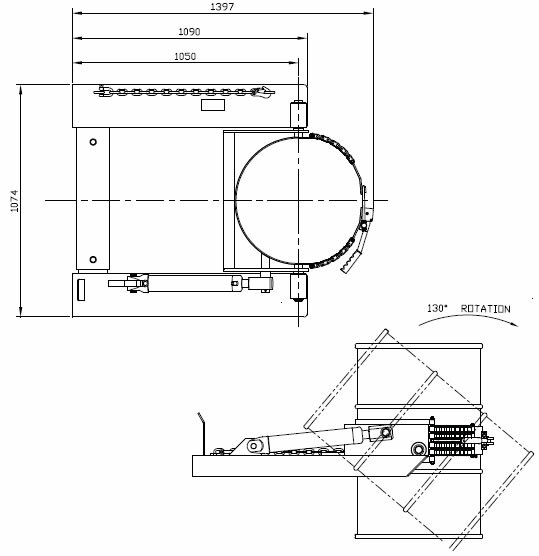 One forklift hydraulic take-off is required.